Wrinkles on the upper part of the face, around the eyes, nose and on the forehead are often of concern as they can give the impression of an aged appearance. They can be treated alone but more commonly they are addressed as part of a whole face rejuvenation program. Wrinkle relaxing treatments are performed in Glasgow and Bothwell by our Medical Team made up of Dr’s Simon and Emma Ravichandran, Dr Paula Mann, Dr Sophie Johnston & RN Sarah Gillies. Fully qualified, highly experienced staff. 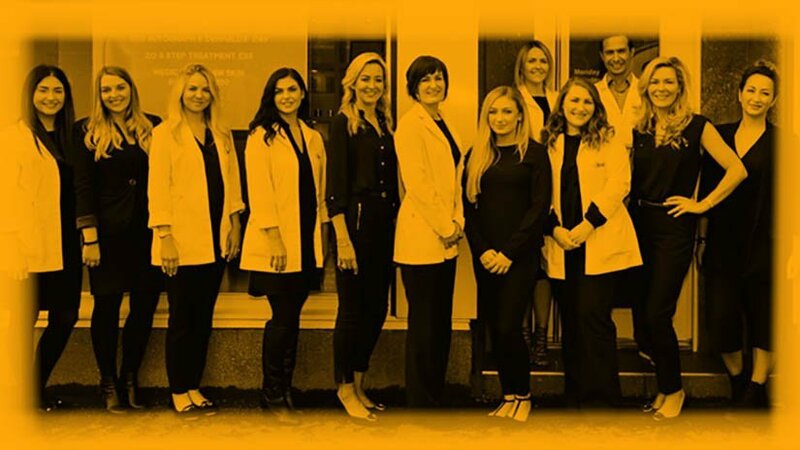 Awarded Best Clinic in Scotland at the Aesthetic Awards 2018. Wrinkle relaxing injections temporarily block the nerve signals that tell the muscles to move. This allows the overlying skin to smooth out. Wrinkle relaxing injections are famous for giving a ‘frozen’ or artificial result. At Clinetix our skilled medical practitioners perform treatments that can give a remarkable rejuvenating effect that looks completely natural. Where can I have wrinkle relaxing injections? The most common areas to treat are the frown lines between the eyes, the horizontal forehead lines and crows feet. In expert hands, we can use anti-wrinkle injections to help very fine lines just below the eye, lines on the side of the nose and also around the mouth. We can also use wrinkle fillers to relax some muscles to subtly alter the appearance of the face also, in areas like the chin, the nose, the neck and the jawline. Although some clients may request a ‘frozen’ appearance, the majority of our clients prefer a natural, refreshed appearance. When you leave Clinetix your friends will ask you where you’ve been on holiday, not where you had your treatment! we can treat this by applying wrinkle filler injections into the area affected. This effectively switches off the sweat glands for up to 9 months and is usually extremely effective. Click here to find out more about treatments for excessive sweating. Anti-wrinkle treatments are performed by our friendly team led by Dr's Simon and Emma Ravichandran, Dr Paula Mann, DR Sophie Johnston & RN Sarah Gillies. 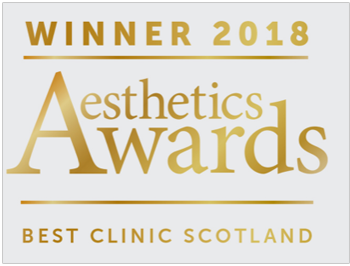 • Fully qualified, anti-wrinkle specialists • Awarded Best Clinic in Scotland at the Aesthetic Awards 2018. 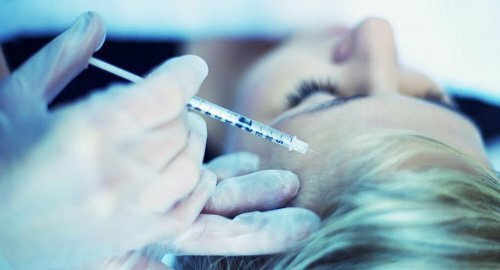 Do anti-wrinkle Injections really work? Absolutely! The treatment temporarily blocks the signals from nerve endings that tell the muscles to move. The result is a reduction in movement of the muscles. Lines and wrinkles on the face are caused by years of repetitive contraction of these muscles that etches a line into the skin. When these muscles are relaxed the lines very quickly disappear. Will I look fake or frozen? Only if you want to! Many people today opt for a natural more refreshed look rather than a frozen look. This requires very careful dosing in very specific areas to reduce the signs of ageing without looking like you have had a treatment. Most people will feel something when the treatment is being performed, however the procedure is described as painless by most people. For particularly nervous patients a numbing cream may be applied. Wrinkle relaxing injections have been used safely for over 30 years for cosmetic and medical uses. In cosmetic doses serious side effects are incredibly rare. Less serious side effects are related to the treatment effecting the wrong muscles and can result in a drooping of the eyebrow or eyelid. These side effects are uncommon and less likely to happen with an experienced practitioner. You may experience some temporary bruising or swelling at the injection site as with all injections. Most people will get about 4 months of a result from a single treatment. There is some variation between 2 months and 6 months. Some evidence suggests that with regular treatments, the effects may last longer. The cost of treatment will vary depending on the number of areas to be treated and the complexity of the treatment. At Clinetix, anti-wrinkle injections start from £150 for a single area with a Medical Practitioner and £170 with a Clinical Director.